When people travel with their family, they often want to bring their whole family—furry friends included. Traveling with pets has really come a long way over the years, with plenty of hotels, businesses, and restaurants going above and beyond to welcome man’s best friend. And we’re not just talking basic tolerance and acceptance of traveling animals—hotels often go above and beyond to make four-legged guests just as comfortable as their two-legged owners. Here are some of the best pet-friendly hotels in the United States. If your pup is adventurous, then there’s no better place to take him or her than the Loews Coronado Bay Resort. In addition to doggie room service, pet-walking and sitting, and lots of amenities, this pet-friendly hotel in San Diego also offers the Su’ruff Camp, where your dog can get tips from a pro on how to ride the waves while wearing a cool pair of board shorts or a puppy bandana. Loews is known for being a pet-friendly hotel chain, but the San Diego location is by far the best! 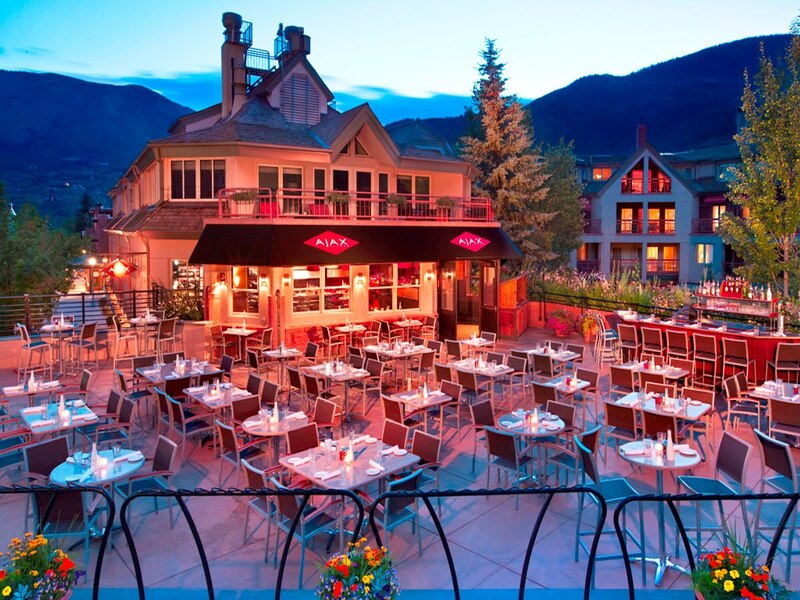 This pet-friendly Aspen hotel claims to spoil pets—and it’s absolutely true. From the second they check in to the moment they leave, your furry friend will be living the good life with gourmet doggie treats, an extensive room service menu, a Puppy Jet Lag Kit, a Petiquette guidebook, a custom leash, a personalized brass ID tag, comfy beds, a food and water bowl, and services like dog walking and sitting, plus recommendations for nearby hiking trails and local groomers. The Little Nell has it all covered! This pet-friendly hotel in Austin, Texas, has been awarded the coveted Five Dog Bone Award because of its awesome service to guests traveling with four-legged friends. Amenities include a custom Driskill pet bed, a souvenir toy, a fancy food dish and mat, bottled water, treats from a local bakery, doggie business bags, and a map of downtown Austin that highlights nearby parks to take your pet. They have even offered a Valentine’s special during the whole month of February, during which travelers and their puppy companions can benefit from champagne, chocolate-covered fruit, and a robe. It’s no secret that New Yorkers love their furry friends, parading them around town in fashions as equally chic as their own. And, as a result, many hotels in New York City have created amazing pet programs, and The Benjamin’s is one of the best. The hotel offers a 24-hour veterinary access, brand new pet beds, a trendy BarkBox welcome basket full of treats and toys, and even a pet mini-bar right in the room. To top it all off, there are no additional fees or even a weight limit, so bring along your Great Dane if you can buy him a plane ticket! A cute New Orleans bed and breakfast that is also pet-friendly. Sounds impossible, right? Not at the Creole Gardens B&B, which is located in the Garden District. The canine “owner” of the property, Mademoiselle Jolie, greets guests with a wagging tail. There are no weight restrictions on pets, and the one-time $15 fee is quite modest. The guesthouse is located right around the corner from a leash-free dog park, as well as a short drive from the New Orleans levee, where dogs can run around and even swim in the Mississippi River. Kimpton is perhaps the best pet-friendly hotel chain in the US, and Hotel Monaco in Alexandria (there are also others in Portland, Denver, Salt Lake City, and more) is believed to be the first property to offer Yappy Hour, which still runs strong from spring to fall. Yappy Hour, and hanging out at the hotel in general, is very popular with locals, so your fur baby will get to socialize with seasoned experts. You’ll also get to partake in the signature VIP treatment, in addition to being greeted by the on-site Director of Pet Relations, a fluffy white Bichon Frise named Charlie, who has plenty of restaurant, park, and sightseeing suggestions for your pet. This luxury Sedona resort really knows what pets want, and that’s why some rooms have a fenced in pet patio area, perfect for your animal to have some extra space. All of the guest rooms have hardwood floor and tile, so you won’t have to worry about cleaning up if your pooch goes poo inside. Outside, your furry friend will love the 1,000+ square feet of enclosed patio, as well as nearby Oak Creek, which is great for frolicking around. Not only is there no additional pet fee here, but the staff will also sit, feed, and walk your pal for no additional cost! If your pooch likes to socialize, then there’s no better San Francisco hotel than the Galleria Park, part of the Joie de Vivre chain. This eco-friendly property hosts a daily wine hour for guests and a weekend Yappy Hour for their pups, where dogs can enjoy some treats. Other animal amenities include organic biscuits, bowls made from recycled materials, and the outdoor Park Terrace, which offers amazing city views for both pets and their owners. The W hotel chain is another very pet-friendly one, offering its PAW program, which features a custom bed and special puppy turndown service. Other amenities include walking, sitting, and grooming, plus first aid kits cutely dubbed Bow-Ow and Meow-Ow Boxes. At the W in Seattle, you will find a gourmet menu for your pet’s palette, along with toys and close proximity to a few parks. While your dog won’t be able to hit the slots in the casino, Fluffy will love the amenities at The Cosmopolitan. This pet-friendly Las Vegas hotel gives every pup his or her own Potty Patch, chew toys, and souvenir food/water dishes. An outdoor doggie area by the Bamboo Pool is the perfect spot for humans and their canine friends to relax in Las Vegas’ sunshine. Room service and maps of walking routes are also provided. Also a part of the Kimpton chain, the Epic Hotel in Miami is located right downtown, and you and your pet will get the best that Miami has to offer, all while experiencing some fantastic amenities. You’ll get great service, trendy accommodations, and beautiful city and ocean views. Your pet, on the other hand, will benefit from the VIP (Very Important Pets) service that comes standard in any Kimpton hotel, which includes a pet bed and bowl, a leash and plastic bags for convenient walks, plus pet sitting, grooming, and massages. All for no extra fee and without any size restrictions. 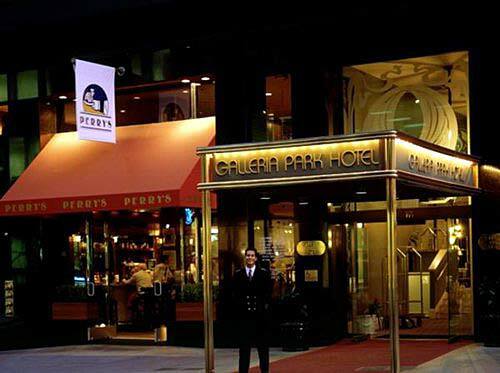 With an unbeatable downtown location right near Boston Common, the oldest park in the USA, this luxury Boston hotel offers pets some fantastic amenities and plenty of nearby locations to walk, sniff, play ball, and explore. Fifteen Beacon pampers puppies with amenities that include plush beds, fresh water, and homemade treats. While the hotel does charge a fee—reasonable at $25—it all goes straight to the nearby MSPCA Angell Memorial Hospital. This pet-friendly Washington hotel offers the “It’s a Dog’s World Package,” which donates 5% of the room rate (there is no additional pet fee) to the Washington Animal Rescue League. Other perks of the package include handmade treats from the on-site pastry chef, bottled water, and a placemat. Pups can also join their owners at the Afternoon Tea session served in the Loggia, and while the pet is out, owners can hang the special green paw sign on their guest room door, signifying to housekeeping that the room is clear to clean, or the red paw sign, showing that Fido is fast asleep. One of the top luxury hotels in the US, as well as one of the best small ones, Wentworth Mansion offers an exceptional stay in the heart of downtown Charleston. With so much for humans to do (like a spa and a seasonally-inspired restaurant), there are still so many pet perks for those traveling with the entire family. The hotel’s Garden Rooms are perfect for those traveling with an animal companion, as they open right up to the courtyard and the lawn. Another Kimpton location, this pet-friendly hotel in Chicago puts the VIP plan into action and tops it off with lists of nearby businesses you and your pet will enjoy, including a spa, where you and your furry friend can catch a limo ride in style before getting side-by-side massages. Both cats and dogs (and sometimes penguins, too) are welcome at Sunset Tower Hotel in Los Angeles. They’ll get a bone-shaped ceramic water/food bowl, treats, and a miniature version of their owner’s hotel bed. The animal room service menu is reasonably-priced and offers chicken, a cheeseburger, steak, and good old dog food for the non-foodie dogs of the bunch. Pet parents will enjoy the guide to good walks, as well as the nearby leash-free park. Over 100 years old, this historic and pet-friendly hotel in Portland lets you and your four-legged travel companion live in luxury, with Italian marble floors, Austrian crystal Chandeliers, and walnut furniture. Comfort and deluxe rooms, as well as junior suites, all welcome your pet for $25 per night. That includes a Benson Buddy Bed, a souvenir, a travel dog care package, and a guide to the pet-friendly areas and businesses nearby. One of just a few pet-friendly hotels in Santa Barbara, California, the Hotel Indigo carries out its chain’s pet policy, offering patio areas, big rooms, and easy access to the beach. Canines, kitties, and other creatures (as long as they’re under 55 pounds) are welcomed with open wings. In fact, this hotel loves pets so much that they’re running a photo contest that will highlight pets enjoying their stay at the hotel. The winner will receive a free pet stay (waiving the $40 fee) and a tote bag. One of the most luxurious hotels in Philadelphia is also one of the most pet-friendly. Boasting the largest guest rooms in the city, you and your loving Labradoodle will have plenty of space to spread out and relax. The concierge will happily arrange for pet sitting and dog walkers with advance notice and for an additional fee. But, standard amenities include a personalized food bowl, goodies created by the on-site pastry chef, and VIP treatment. The hotel’s location right on Rittenhouse Square means walking your pup will be easy and convenient. If you’re heading down to Orlando, chances are you’re bringing the whole family with you—and staying at the Hard Rock really means you can bring the whole family. Upon check-in, your furry friend will receive a tag, a bowl, and a yummy treat. When it comes to food time, dogs and cats have separate menus of dry food and hot options, like tenderloin and salmon. There are dog-walking areas throughout the property, and sitting services can be arranged through the concierge. Give your pet the rockstar treatment at this pet-friendly hotel in Orlando. There’s no reason your four-legged pal can’t travel with you wherever you go. Using a hotel comparison website like ProntoHotel.com can help you search specifically for pet-friendly hotels—including these and many others. It will help you save money and save face by not putting Fluffy into a kennel while you go off having fun. Pack the dog bones and a leash—you and your pet are in for a real treat!